We are always looking for ways to improve our care of Earth here at Rahamim. With every improvement, our site moves closer to being a total education experience for every visitor. Some of our less visible practices are set out here, and link with signage in our buildings and on our grounds, so that visitors to both our property and our website can learn about how we care for Earth. 1. Where did the glass in the office doors come from? The glass in our office doors was cut from an old shower screen, found at a local recycling facility. 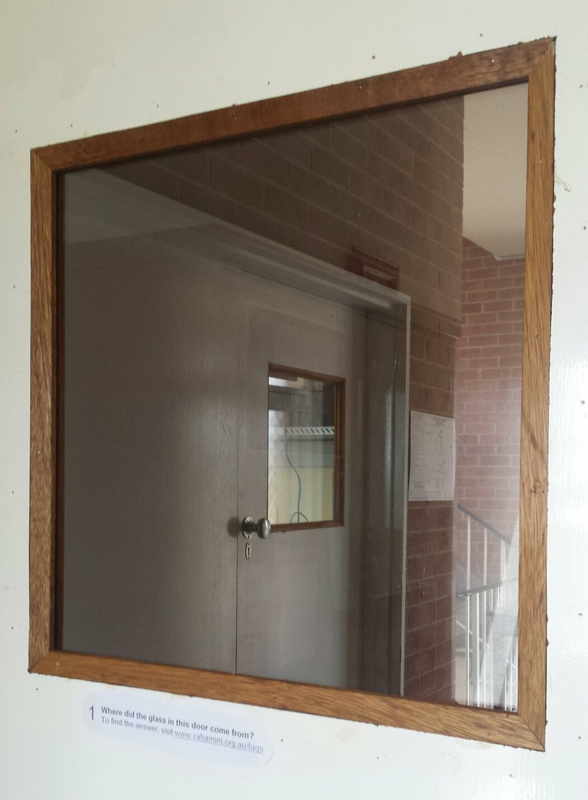 The glass lets us keep heat in the offices during Bathurst's long, cold winters, while making sure that visitors still feel welcome. 2. Where did the door handle grips come from? 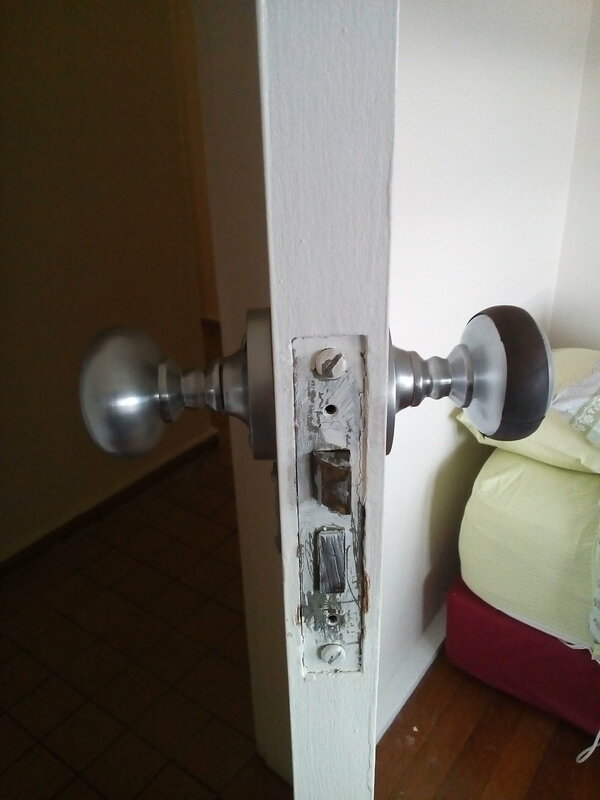 We found that some of our guests had trouble turning the smooth round handles to some of our rooms, and a member of staff came up with this ingenious way of solving the problem. Not only did the solution cost nothing, it diverted waste from landfill, and now all our guests can easily get where they need to go. 3. 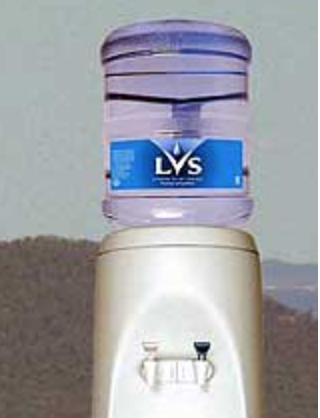 Why do you use bottled water in your drinking fountain? Our building is very old, as is a lot of its plumbing. This means that sometimes water can appear rusty in colour. Until we are able to upgrade the plumbing, to make sure that the water both staff and visitors drink is safe, we felt the best solution was to provide clean spring water. We did a lot of research to find a local, family-owned company which could supply us with water sourced as close as possible to Rahamim - and which would reuse the plastic vessels it was supplied in. 4. What linen do we use at Rahamim? Every step of the way, from non GMO seeds, to ginning (cleaning), to knitting or weaving, to dyeing and to the stitching of the end product, stringent ethical guidelines are being observed in their production. The cotton is grown in a sustainable community of 300 families near Indore in Central India. Every part of the cotton bush is utilised to reduce waste. The twigs of the bush are used for lighting fires, the leaves go into the compost. The cotton bolls are hand picked at their maturity up to five times a season and is all done with minimal ecological footprint. 5. What cleaning products we use our laundry? 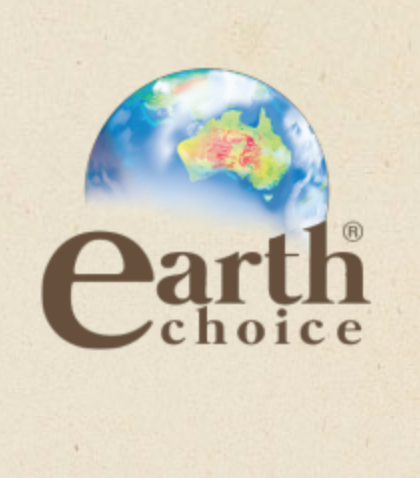 · Australian Made & Owned. 6. Why do you serve food buffet style? Serving food buffet-style reduces food wast. Serving as a buffet allows people take exactly what they like to eat and how much. It also means you can go back for seconds if you'd like some more! 7. Where does our food come from? Choosing to eat vegetarian food is one of the most significant actions you can take to reduce your impact on the environment. Learn more here. 8. What toilet paper and paper towels do we use? We were happy that we could help change the world with toilet paper! 'What The Crap' uses only 100% recycled paper fibres, bamboo or sugarcane in our products. It saves water, carbon emissions and trees. They also donate 50% of their profits to help build toilets for those in need! 9. Do you allow pets on site? Absolutely! Care for all living things is an integral part of Rahamim's ethos, and so we welcome non-human visitors to our site just as we do our human ones. However, we recognise that not everyone shares the same level of comfort with other species, and the need to ensure the safety of all visitors to our site, so we do have some rules in place to ensure the safety and comfort of all. You can learn more here.